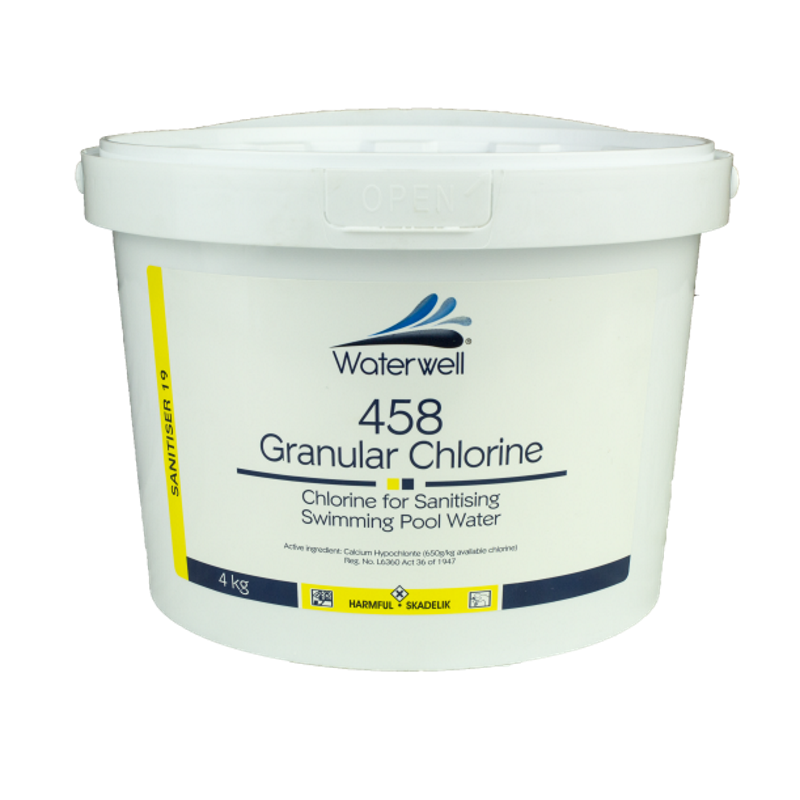 Granular Chlorine 458 is a fast acting, quick dissolving, low residue unstabilised chlorine used to sanitise and clarify pool water. It can be used as a regular maintenance treatment as well as for treatment as an oxidiser. Summer: Add 50g per 10 000L of pool water daily or every second day in order to maintain 1 - 3ppm of chlorine. Winter: Add 25g per 10 000L of pool water daily or every second day in order to maintain 1 - 3ppm of chlorine.